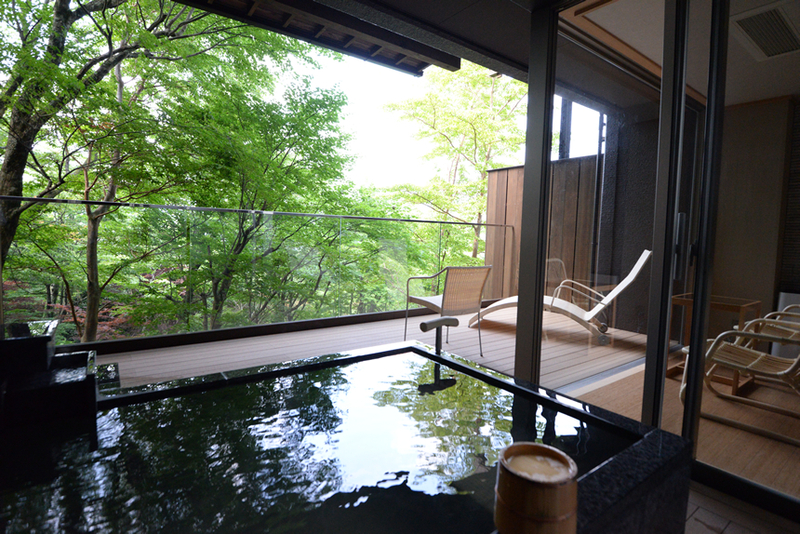 At the beginning of the 1900s, the extension of Hakone Tozan railway launched with the support of Takashi Masuda and Kaoru Inoue, key figures in Japan's economic history and culture at the time, caused Gora to develop into a luxury health resort of holiday villas. 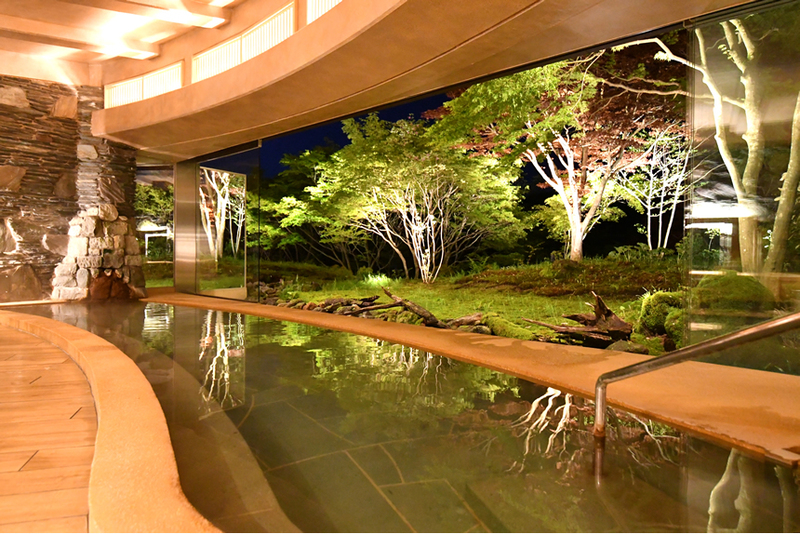 Gora hot springs, chief among the 17 hot springs of Hakone, is known as a hyperthermal spring location which came to be known around the world as Japan developed in late Meiji era. 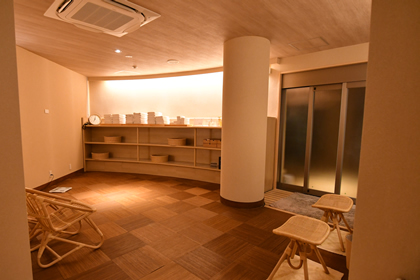 Byakudan's private source hot spring is drawn 480 meters under the spring tower located on the premises, and our hot spring is one of the best among Gora hot springs with its golden color, high component concentration, and high temperature. It is mildly alkaline sodium chloride water with a pH of 8.0 and is known for making one's skin smooth. It is said to be effective at treating muscle and joint pain, contusion, sprains, sensitivity to cold, chronic women's ailments, chronic digestive ailments, and more. 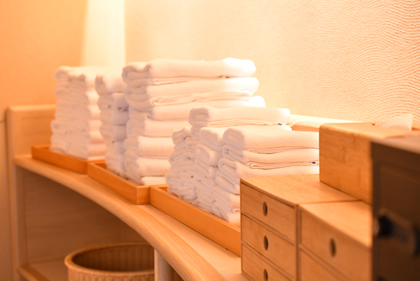 All of Byakudan's baths including private facilitated bath in each guest rooms are sourced only from our natural hot spring with no recycling or recirculation, so you can rest assured when you bathe. 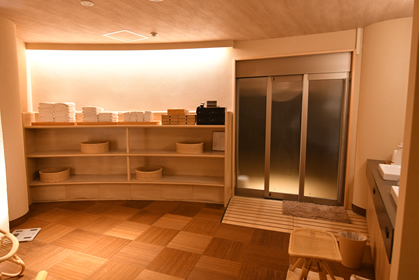 The hot spring temperature is 88.9 degrees, and the fact that it is a high temperature and high volume private source at 55ℓ per minute means we can always provide it fresh. 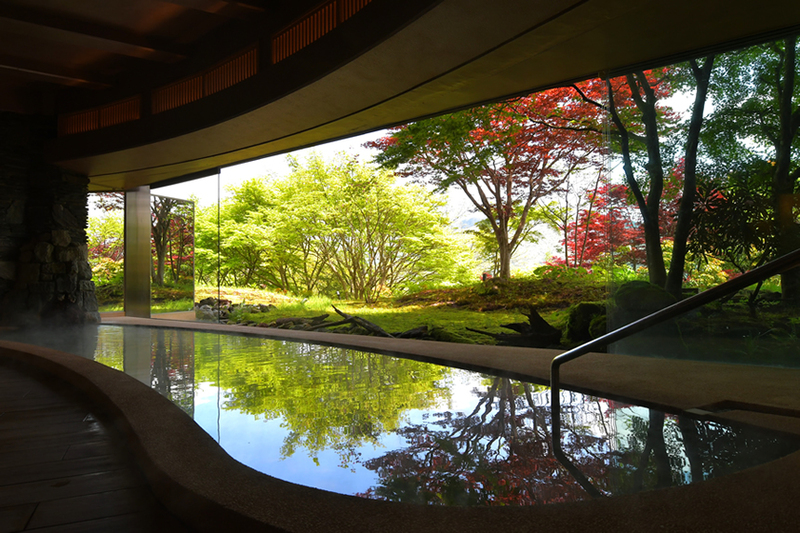 Inside the large public bath room which is decorated luxuriously with rare natural stones, Izu stones, the facade has white stones laid out into a stone garden along with various trees to create a background of a Japanese garden with the Hakone mountain range for you to enjoy. 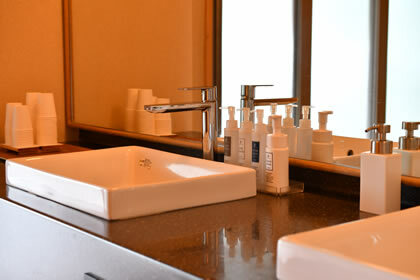 There are also tastefully designed open-air baths making use of lovely views on the decks of each room for you to relax your body and mind in.